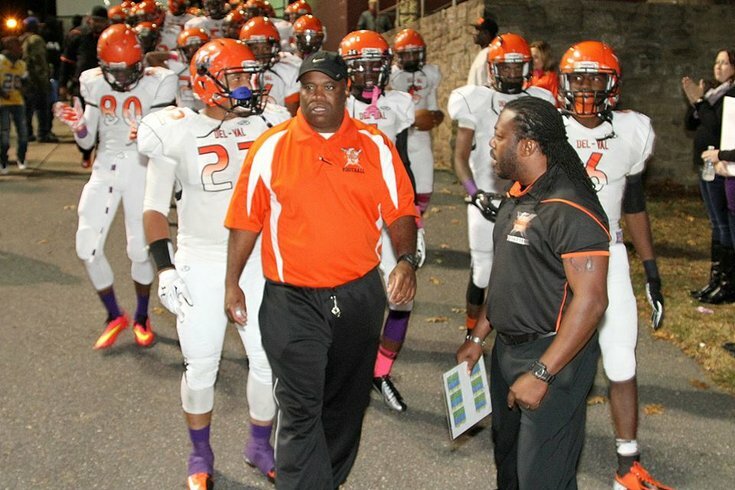 Troy Gore, head coach of the Delaware Valley Charter High Warriors football team, worries that Public League players won't get the credit they deserve because of the shifting media landscape and fellow coaches who don't pay closer attention to record keeping. 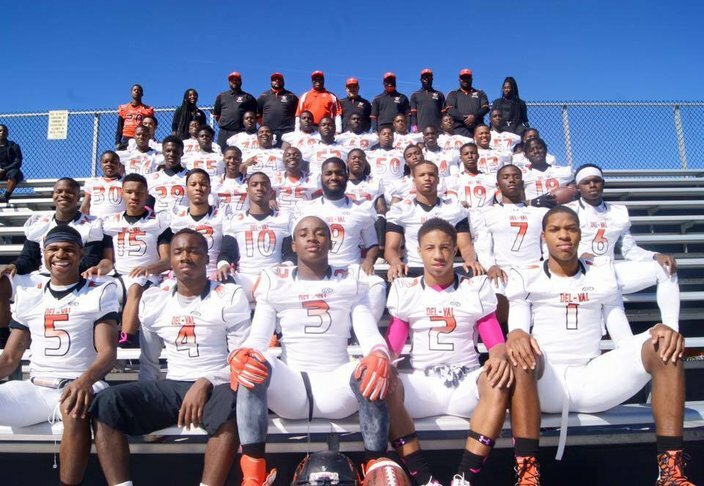 This season was supposed to be the Philadelphia Public League high school football’s time to shine. The Imhotep Panthers claiming the first-ever state championship for a “Pub” team last December brought quite a bit of attention Philly’s way, after all. While Gore could have been talking solely in a football sense before practice started in East Germantown on a recent afternoon – the Olney team has had to move practices several times because of neighborhood violence – his words focused on a convergence of media coverage, the digital divide, commitment, intra-division rivalries and journalistic budgetary constraints. How can Public League coaches ensure their players get the attention they deserve if their accomplishments don't show up on the agate page? That’s the conundrum Public League now faces. The whole thing started when the 2016 Public League football season got underway in late August. Through whisper-down-the-lane innuendos and Facebook-comment debates, Gore and others presumed that the Philadelphia Daily News had slashed its coverage of Public League sports. This was of particular concern because teams from the Catholic and Inter-AC leagues continued to get media attention, and the Daily News has long represented the local publication of record for the Public League. That wasn’t exactly the case, but a major problem still remained. 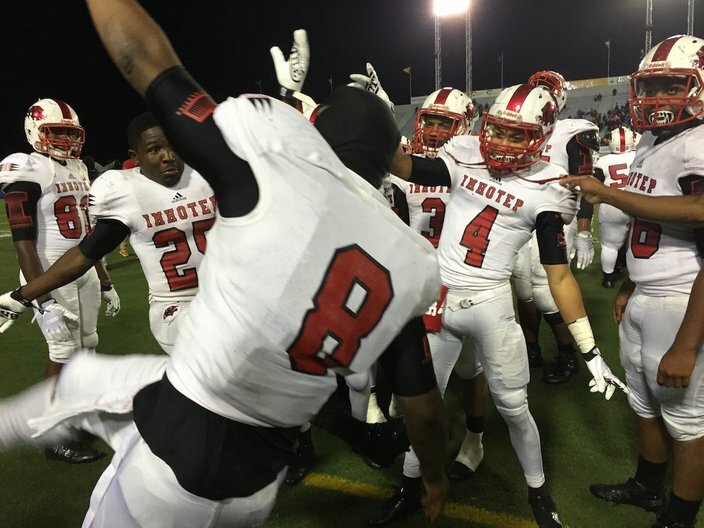 The Imhotep Panthers celebrate their state championship at Hershey Park Stadium. For decades on end, local writer Ted Silary was the guru of Public League coverage. (Gore said he remembers talking to him as a player nearly 30 years ago.) As Silary eased into retirement in recent years, his website continued to serve as the city’s Public League encyclopedia. According to Gore, though, that site scaled back on coverage due to budgetary constraints afflicting much of the journalism world. Back in the day, there was money for stringers to cover games, send stats in and see that they got reflected in print. Not anymore. When word filtered out about the shifting statistical processes, coaches and boosters within the other leagues banded together and “came up with a way to pay people to do their stats, but that option was never presented to the Pub,” said Gore. That transition explains why Silary’s site now has regularly updated Catholic League and Inter-AC coverage, but only Public League archives. Granted, the papers still feature high school football stories. “We remain as committed as ever to high school sports, but some of [the concerns that we don't] might be coming from a shift from print to digital,” explained Pat McLoone, Daily News managing editor. Still, Public League backers worry that statistics now won’t be readily available to draw college recruiters toward Public League players of note. But talking about doing and actually doing are two different things. And therein lies the challenge ahead. A team photo of the 2015 Del-Val Warriors football team. Gore is leading the charge, from a sideline-figure perspective, to encourage 28 active Public League programs to keep accurate statistical data from games in the early part of the season. That way, should the tides shift, they can compile them easily and come up with league leaders' lists for recruiting and competitive glory. There’s also talk of incorporating websites and efforts including the Philadelphia Public League Sports Project (PPLSC) and raising money to hire stringers – even students – to cover the games and share information with Silary’s site and the papers. When contacted, Silary steered PhillyVoice toward Eugene Pough, a Bartram High grad and co-founder of the PPLSC who’s serving as his point man to help make this happen. Through that mentoring and youth development effort, Pough has already started reaching out to coaches via email and Facebook. So far, though, he's been filming games and practices while interviewing coaches as opposed to compiling statistical data. "I'm not sure what other coaches are doing as far as compiling their stats, but I've been in touch with six or seven so far," said Pough. "The other coaches haven't responded to my Facebook messages." So why is this such a big deal to coaches like Gore, and their players? “When the stats aren’t kept, it hurts with recruiting. I can’t say, ‘This kid led the league in rushing, or passing, or sacks,’ if there aren’t resources to show a coach for proof,” he said. “It hurts the competitive edge of a kid that wants to have that kind of thing, it hurts getting votes for Public League players for all-city, the Big 33 or East/West Games. There’s proof for Catholic, Inter-AC and suburbs, but not the Pub now. While the coverage gap did come up when a guest speaker addressed the Del-Val team before its Sept. 3 game against the suburban Haverford School (that game got covered), Gore doesn’t think it’ll settle in for a few more weeks when kids will be able to pick up the paper and see other league’s leaderboard, but not their own. For his part, McLoone lauded reporters Aaron Carter, Rick O’Brien, Phil Anastasia and Mark Narducci, who cover most high-school sports regionally for the Daily News, Inquirer and Philly.com’s "Rally" page. When it comes to the statistical issue, McLoone also expressed a willingness to help. “We’re very committed and happy to partner with anybody who will compile those stats,” he said. Translation: The papers will help them get word of their Public League stats out, but they need the stats first. The onus is on the programs to make that happen. “We’re saying, ‘What can the Public League do for our kids?’ That’s the bottom line. Not what they can do. What can we do to make sure each high school program is effective and efficient enough to help our kids be recognized as the high-profile athletes they are?” Gore said. Should all 28 programs get involved with season-long stats already being compiled accurately, it will be easy to share them with media outlets and online, he added.